We’d like to welcome Harriet as our newest and first female permanent contributor to the blog. She has written a number of guest posts in recent months and has indicated she’s keen to contribute a lot more so we decided it was best to add her to the team – plus it’s always nice to have some diversity. At current many people including myself commute South from out West, in the morning the transfer is easy, most of the time you arrive on P3, with the Southern/Onehunga bound trains likely to be either P4 or on occasion P3. In the afternoon however the story is a different one. Northbound trains open the doors to P3, this means to transfer West you have to go to P1, this requires walking up the platform, up the escalators/stairs, across the lobby and then back down another set of stairs and escalators. I know what many of your city commuters are thinking, get over it fatty, you need the steps. Personally I don’t mind, I usually take the stairs rather the escalator, and walk about 30min to/from Ellerslie to/from work everyday (Not Bragging or Anything :D). However for many people this is an annoyance, especially when they miss the connection. It’s also not great when you see people with mobility issues scrambling to get to P1 on time. Also many people rush bumping into people at the platforms, when wet the bottom by the escalator is a slip hazard I have seen many of a person nearly go. So in summary it causes some people to slip when wet, is awful for people with mobility issues, and is annoying to many commuters potentially putting them off using the train. So why can’t Northbound trains use Platform 2, it’s on the same track as P3 just requires a other side to be opened. a) Platform Gap – Nope looks fine & no worse than some stations out in the suburbs. b) Lack of a signal box to tag (If you watch the TM’s tag a box at Newmarket which indicates to the signallers which way they want to go) – Nope on Platform 2 has them. c) Don’t want to open doors due to safety on both sides – Fine but that doesn’t answer why we can’t open just on P2 for Northbound. d) Confusion for Passengers – Maybe but people would get used to it, and this isn’t 2008 we live in the world of AT App’s & Station Real Time Boards by the Escalators & Platforms. e) Confusion for Drivers – Again maybe but surely they would get used to it. f) It is impossible to do so – I have seen them open the door onto P2, and have heard of accounts of this happening, however this is a rarity. P2 – Northbound Trains – Allows easy transfer West on P1, and no difference to users alighting/boarding at Newmarket. Here’s a diagram of what to explain, from here. Welcome! Its good to know there are female transport writers (nerds?) as well as male transport writers (nerds!). You make a good point, and I hope that someone from AT can answer it, and do something about it. One more possible option to add to your list (g) what if both sets of doors opened at same time? Not impossible and not unheard of in some places. Works well in London at the Canary Wharf DLR station. Train arrives, doors open both sides, people can actually walk through train to catch their connection. No accidents that I know of, ever. I’m not sure this would help the already slow dwell times. I’ve used trains overseas where doors opened on both sides for transfers. So long as you know where you’re going there’s no problem but if you’re not it can be a bit confusing working out which train on which side is going in the direction you want to. I’ve got on the wrong train once, and have had to walk back through the train I arrived on on another occasion. I’d think twice as many doors open would help with clearing a train faster and speed up dwell time, despite the odd confused passenger. Eek. Will you stop with that common sense. AT will have conniptions if you carry on with that. I’m with Guy – just open both sets of doors. Easy. I was recently in Barcelona, where they have few stations that trains will open doors on both sides. That was the first time i have really experienced it, and as far i could tell this cause no problems. There was an array of CCTV screens for the driver to see what happening on both sides of the platform. With a service pattern like this it takes away the pressure / need to transfer at Newmarket as you could transfer anywhere close west (New Lynn / Mt Albert to Grafton) or close south (Penrose to Newmarket) and reduces the Western line time by not going to Newmarket. Also if a ‘Cross Town’ was run 2min after every second Western / Southern service to Britomart it could / would use the same platform so regardless of ‘island’ or ‘side’ platform every station would be just as good to transfer from. John I’ve posted similar to this many times only to be told having a stupid across town train makes no sense. -Cuts 10 minutes off the western line, as the timetable is not set to have this as a transfer station the 10 minutes saved has you catching the same train at Britomart that you would have got at Newmarket. -Reduces congestion at Quay park. -Allows certain west to south points without changing trains. -Coming from the west going to Newmarket requires planning to get on the correct train. -Reduces congestion at Quay park. Something that was one of ATs reasons for the CRL, the CRL did need to be built but artificially congesting certain points to build that argument was not good planning. You’ve got a big legibility problem on the Onehunga service. I would suggest picking a pattern for that already infrequent service and stick to it. In general high frequency and legibility and transfers, will beat one-seat rides everywhere. Legibility becomes a lot clearer when New Lynn or Mt Albert is chosen as the Western point. If you want to really simplify the route you just run 3tph from either Onehunga or Otahuhu, again 2min behind every second Southern train – easily done from Penrose or the newly completed Otahuhu. Good one Harriet. This NM platform issue is so annoying that its difficult to understand why AT/Transdev have not actioned it already. I hope someone at AT can see this as a Health and Safety issue and get it sorted out soon. I think it sounds like a very reasonable idea indeed. Getting the small stuff like this right is so important to making public transport accessible to everyone. Also, it’s good to have you on board as a regular contributor! Welcome! I already asked AT like nearly two years ago whether they can open both sets of doors for this very same reason. Their response was that it was due to safety concerns as the conductor needs to supervise the use of the doors especially when closing. Why do doors need to be supervised? We’ve had self-service elevators for over 100 years that have magical doors that do not require supervising. Having your loose clothing caught in a lift won’t necessarily kill you like it would being caught in a train door. So clothing getting caught in doors is a problem in Newmarket but not in all the other stations south of there? Is this a problem that is unique to Auckland clothing? I don’t seem to remember seeing manual checking of doors on the MTR (hong kong) or Sky Train (vancouver) – maybe I missed it? It is done via CCTV something that the Auckland trains have a very poor quality of. Also done on the BART train system on the line to the East Bay coming out of San Francisco, I think at the 19th St/Oakland station. Surely they don’t need constant supervision when they’re open, just when they’re actually in the process of opening and closing? Given the amount of time western line trains spend parked at Newmarket, wouldn’t there be ample time for the TM to close one side, then the other, in sequence, supervising both separately? It is not the western train that would have the doors on both sides open it is the southern line service that doesn’t require the driver to change ends. The picture and proposal provided by Harriet would be good if it could work, I’m not saying it can’t, I just don’t think it is as simple as it is made out to be with 30TPH through Newmarket. Oh right, sorry, that’s correct. Brain malfunction. Thing is, this is less of a problem at the times when we actually do run lots of trains through Newmarket. It’s off peak and weekends where something like Harriet’s solution would be most welcome, at least until the frequencies go up. Harriet’s diagram shows doors open on P2 instead of P3. Why would you want or need to open doors to P3 in this scenario? i.e. trains from west open to P3 for transfers to P4, trains from south open to P2 for transfers to P1. The handful going from Newmarket to Britomart would just need to check the signs or listen to the PA to know which platform to use for the next service. I read somewhere – it may even be on here – that when the TM presses the door close button BOTH sides close. That may be able to be corrected with a software update of course. Closing both sides at once is a real safety hazard because the TM can see only one side. Not to mention the increase in dwell time, of course! 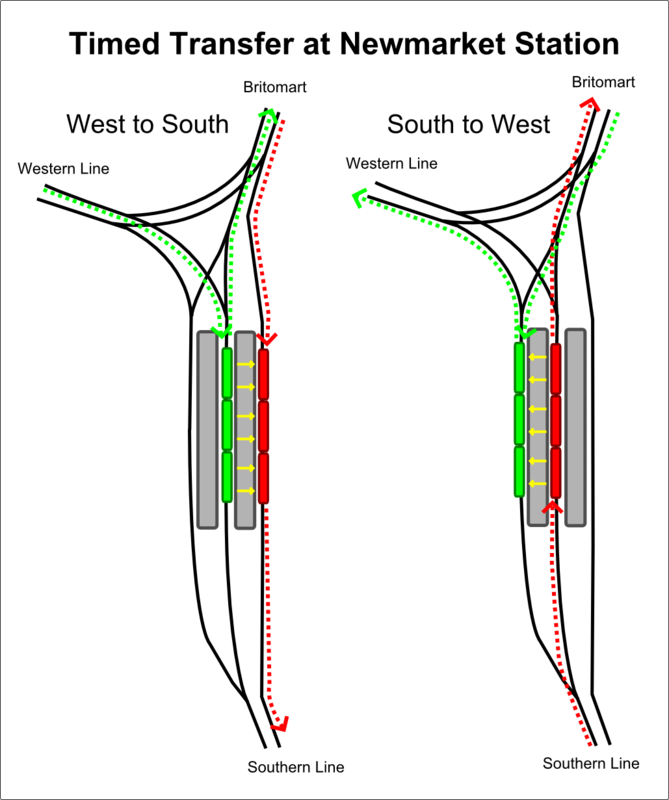 Closing both sides at the same time would reduce dwell time, compared to closing them separately. just close one set first, then 2 seconds later, close the other set…. no danger, no sweat, only a few seconds more delay overall…. Am amazed at the hand wringing timidity of rail operators; where is the problem solving attitude? It simply defies common sense that this can’t be worked out. Is it out of some attempt to keep control or something; it’s like they believe it’s vital that train opps are considered so complex and arcane that nothing could ever improve or be changed. It’s like they want to be abandoned to irrelevance. Guy if only it took only two seconds to close one side but it doesn’t. On the EMUs, if both sides are open, one side is closed and checked by the TM and then the other side is closed and checked. The control panels for each side only control that side. The SAs could close all doors from any control panel. Somewhere in the way we have structured management of AT’s passenger trains is clearly inadequate. Whether it is AT, or the operator, or the intersection between these groups is hard to tell from the outside, but it really needs a shake up. Someone or some structure is very closed minded and seems resistant to improvement, let alone innovation. It is time this all got reviewed and renewed. Welcome to Council CCO Management. Unaccountable, Untouchable. Lacking the competition and stimulation of a proper private organization, lacking also the political supervision and responsibility of the council proper. Worst of both worlds. I’m happy to see that people can see this from the outside too. Something for Phil Goff to look into while he’s shaking them all down for pennies to give back to ratepayers? I think it comes down to the design specifications as agreed between KR and the builder rather than an operating deficiency. One would assume that the purchasing committee never envisaged opening both sides at once, quite a logical assumption. Harriet while this is a good idea having 30TPH (15 in each direction) doesn’t make it as simple as your pictures make it look. The timetable does not allow for the southern service to wait for the western service that often arrives just in time to see the southern service moving away. This will still be happening for another six years when the complaint will go away to be replaced by ‘why can’t the western and southern trains be synchronized to meet at Aotea or K Rd’. Nice solution to an annoying problem; and one that is safe, comfortable and customer friendly. In a previous timetable the service arriving from Onehunga used to arrive on P3 at the same time as the Western service arrived on P1 on its way out west, meaning that anyone transfering had run up and down escalators and through the concourse to swap over from P3 to P1 to make the Western service. i.e. the same as currently happens with the Southern service. Hardly a safe proposition when there are crowds, and rain; and hardly customer friendly for the mobility impaired. I recall one occasion when the Onehunga service train manager opened the doors on both sides after arriving at Newmarket, i.e. to both P2 and P3, and there was almost universal comment along the lines of “why can’t they do this all the time”. There were no obvious safety issues and everyone was left relaxed and comfortable. So even leaving unchanged the current pattern of what trains go where, just making it possible to use both P2 and P3 for trains in the middle lane at Newmarket would have a net positive effect on customer comfort and safety. Perhaps rather than being an addition we could have Harriett replace Patrick Reynolds? Perhaps we could also increase the diversity of this blog by having a car driver making contributions? Welcome Harriet. And no Matthew, Patrick can’t go as we’d all miss you biting at his practical and pragmatic proposals, Also we’d miss his delightful photos. Yes defiantly keep Patrick, while I tend to disagree with many of his ideas (isn’t the idea of a blog to get different ideas) his input and photos would defiantly be missed. I definitely think defiance is the way to go. is five regular car drivers not enough for you? I’m a car driver, however I choose not to use a car to commute Mon-Fri to work as I find traffic affects my mood and mental health. I choose to use a bike and train to get to work. I’m curious as to what sort of car driving contribution would you like to see? So if one Train Manager can’t be given the delegated authority to simultaneously close doors on both sides of the train, why doesn’t one of the many AT people standing around at NMKT step up into the newly created role of “Off-side Train Door Manager”? Now the Train’s Train Manager has ‘on-side’ responsibility and the the Station’s Train Manager, the ‘off-side’. Provided they talk to each other and co-ordinate their actions everyone is happy. It is not a silly idea but I think the train requires reprogramming to allow doors on both side to be opened and as this is the only place on the network where it is even possible it probably is not very far up the to do list. All the trains can already open both doors on the centre platform at Newmarket. There are no software changes needed. If that is so maybe you could fill the rest of us in as to why they don’t. That’s not correct – ETCS will prevent opening of doors on platform 2 unless the CSDE system is bypassed. When it has been done before, just like when doors are checked in the depot, it’s by CDSE bypass. That’s not something that will be accepted as SOP at Newmarket 2. It would need to be re-programmed, but that’s not hard. Getting the signature on the work order is hard. You are wrong. ETCS Correct Side Door Enable is very much capable of enabling the doors on both sides. The only place it allows this is at Newmarket platform 2/3. Ok, well that’s at odds with my understanding, but you are up to date on these things so I will retract my assertion and endeavour to reacquaint myself with the permissions when I return. Either way, the platform two option is not prohibited by the technology. A generally sensible solution. The only issue I can see is splitting the platforms the Britomart trains depart from predominantly P3 to a mixture of P2. AT would need to upgrade the real time information as I’m not sure it is accurate enough to allow passengers to reliably determine which platform to wait on. Confusion for drivers!!! Haha who are they trying to kid!? It was suggested years ago to run services directly from West to south and south to west but Veolia thought that was too hard. Or are you asserting they will continue closing and injure passengers, remove limbs, decapitate children etc.. 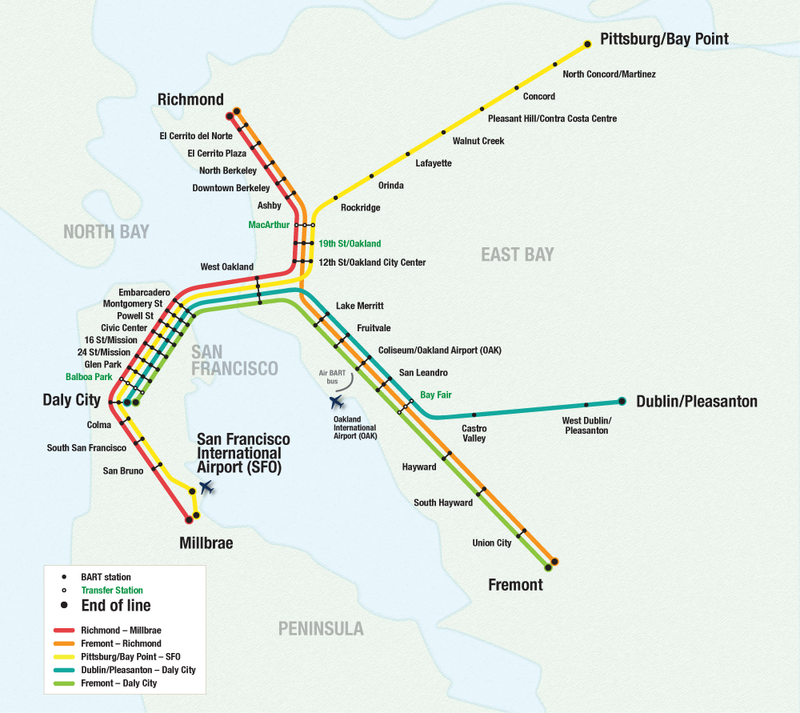 This reminds me, has anyone noticed the west-south train fares don’t count the city zone? New Lynn-Newmarket is $3.10, but New Lynn-Penrose is $1.80. But West-East doesn’t get the same treatment, i.e., New Lynn-Orakei is $3.10. It appears if you enter and exit a zone through overlap zones, the zone in between the overlap zones gets skipped. That was intentional, they don’t want to discourage crosstown trips that don’t pass through CBD, anyway if you did people would just shift onto crosstown buses so you wouldn’t really gain from making the train 3:10. Orakei has the penalty because the previous fare boundary meant people who could catch the train from Meadowbank or the bus in the area drove to Orakei filling up the PnR, this was changed before new fares system. Also New Lynn to Orakei can technially be done for 1.80, you would catch train to Newmarket then bus to Orakei which stays in Central, you could also catch train to Westfield/Otahuhu then double back for 1.80. Also if you want to explore rail system you can do it for 1:80, say you travelled from Newmarket, to Puke then straight back to Newmarket would only charge 1.80 even though you went to Puke & back since as far as the machine knows you stayed at the station the whole time. Would make for a great challenge, see the most of Auckland for $5. It’s not quite right though is it? Two people board at New Lynn, with one to Newmarket and the other going twice the distance to Penrose, but the short trip gets charged more. The whole fare system would actually be a lot fairer if they just didn’t have the city zone. It essentially acts as a CBD surcharge IMO. Get off in the CBD and pay the tax, or stay onboard, go a lot further, and be charged less. Good that is encourages longer distance and crosstown trips, but blatently unfair to CBD workers and residents. Yes, quite right Harriet. $1.80 hopping off at Newmarket, but $3.10 if hopping off at Britomart. But, New Lynn to Newmarket by bus is $3.10, which kind of makes a mockery of integrated fares. Same start and finish points, very similar route, but different fares for different modes. depends on how you define “fair”. city centre gets higher service levels and costs more in terms of infrastructure. I think it’s “fair” to charge a little more for people travelling in the busiest part of the network. That’s exactly what it is Geoff, a CBD surcharge. That keeps the local trips cheap. Without it the single zone would be much more expensive to cover its absence, i.e. The price of a two zone, $3.10 for a five minute trip down to the shops.